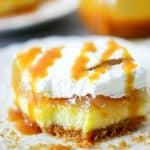 This Caramel Apple Cheesecake Dessert recipe is perfect for fall with a cheesecake layer topped with apple pie filling, caramel sauce, and whipped cream. Each fall during apple season, I’ve contemplated making an apple cheesecake recipe but couldn’t quite wrap my mind around the combination of apples and cheesecake. 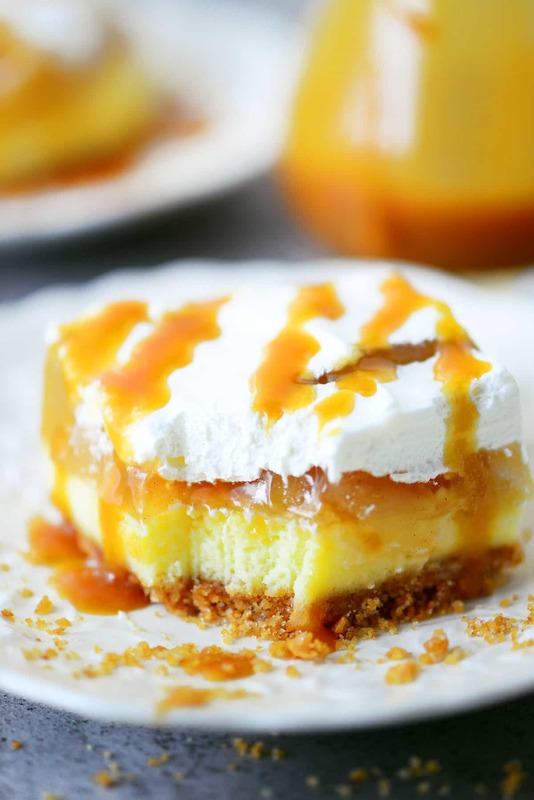 I wasn’t sure if there should be chunks of apples suspended in the cheesecake or if the apples should be pureed into the cheesecake to make them disappear. Finally this autumn I discovered the solution! I put the apples on top of the cheesecake in the same way I did when I make the blueberry cheesecake dessert. And of course, since apples are even better with caramel, I added caramel to this apple cheesecake recipe. First, crush 12 graham cracker sheets. These are the full sheets of four small graham crackers that you find when you open the sleeve of graham crackers. Crush the graham crackers in a food processor if you have one. Or put the graham crackers in a gallon size ziptop bag and use a rolling pin to crush them. 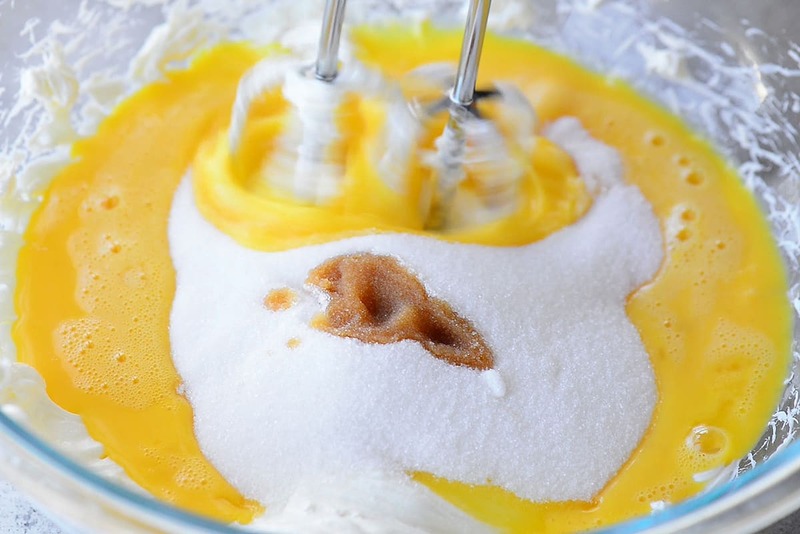 Next, mix together the crushed graham crackers, granulated sugar, and melted butter. Press the mixture into a 9×13 pan. I like to use a small measuring cup with a flat bottom. Or sometimes I slid my hand into a plastic sandwich baggie and use my covered fingers and hand to flatten the crust. If you need to soften your cream cheese in a hurry, remove the foil wrapper and place the cream cheese blocks in a bowl. Microwave in 10-second intervals, checking after each interval, until softened but not melted. Finally, pour the cheesecake filling over the graham cracker crust. Bake at 375 for 23-27 minutes or until the top is dry to the touch. 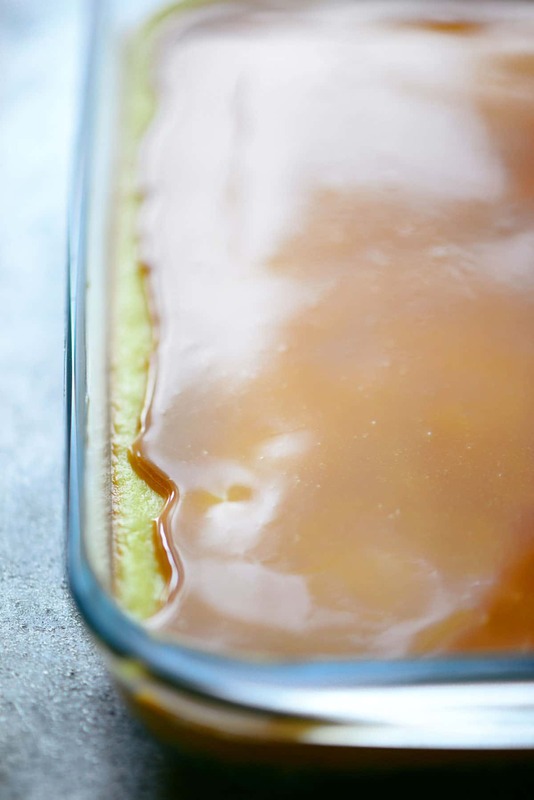 Remove from the oven and top with 1/2 cup of caramel sauce. Chill in the refrigerator. 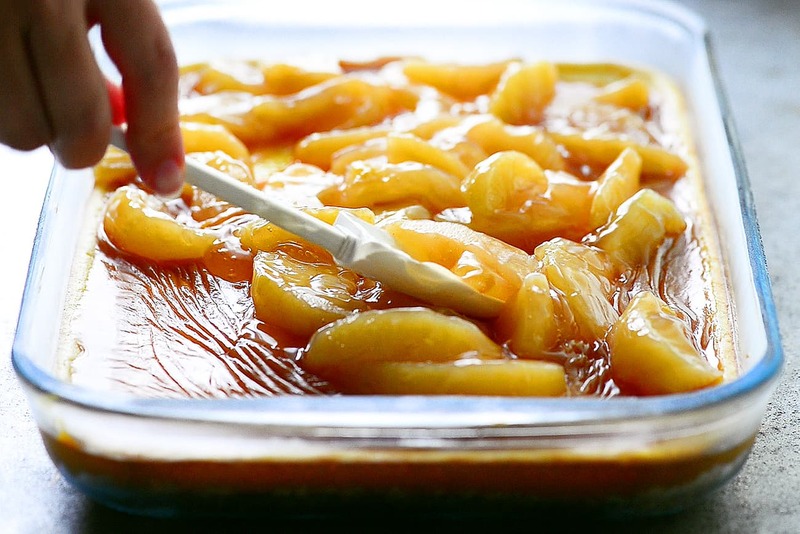 Remove from the refrigerator and top with apple pie filling. 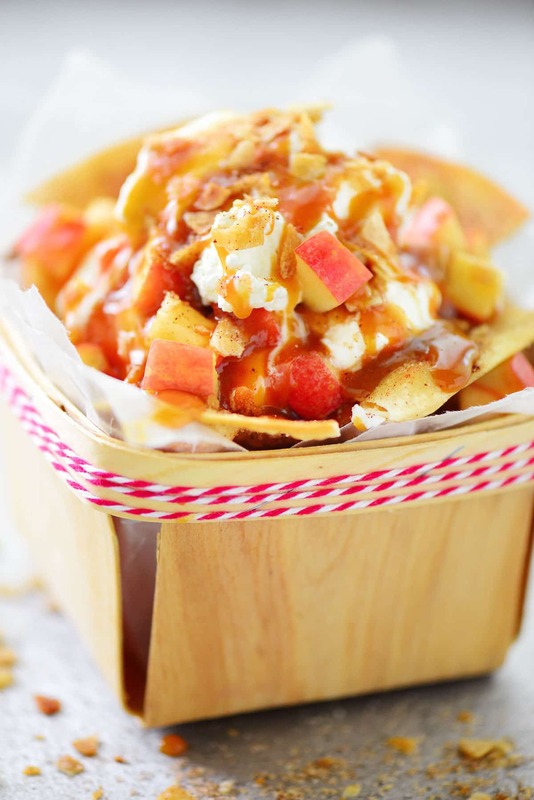 Spread cool whip or whipped cream over the apple pie filling and drizzle with additional caramel sauce. I made this Caramel Apple Cheesecake Dessert on Thursday and my husband brought it to work to share on Friday but forgot to put it out. So, they had it on Monday instead. I’m not sure how good it looked after a few days but they still loved how it tasted. Plus, one of the women he works with said her mom is a loyal reader and that made my day! Crush the graham cracker. 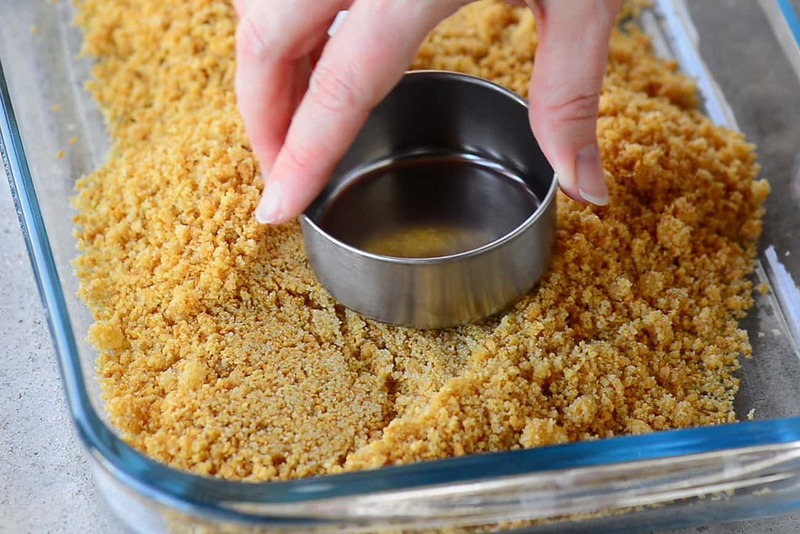 Mix together the crushed graham crackers, 1/2 cup of granulated sugar, and melted butter. Press the mixture into a 9×13 pan. 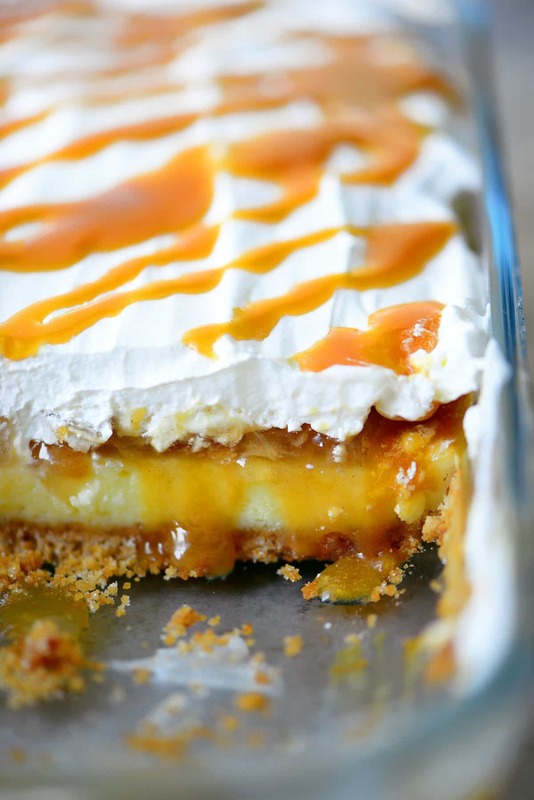 Pour the cheesecake filling over the graham cracker crust. Bake at 375 for 23-27 minutes or until the top is dry to the touch. 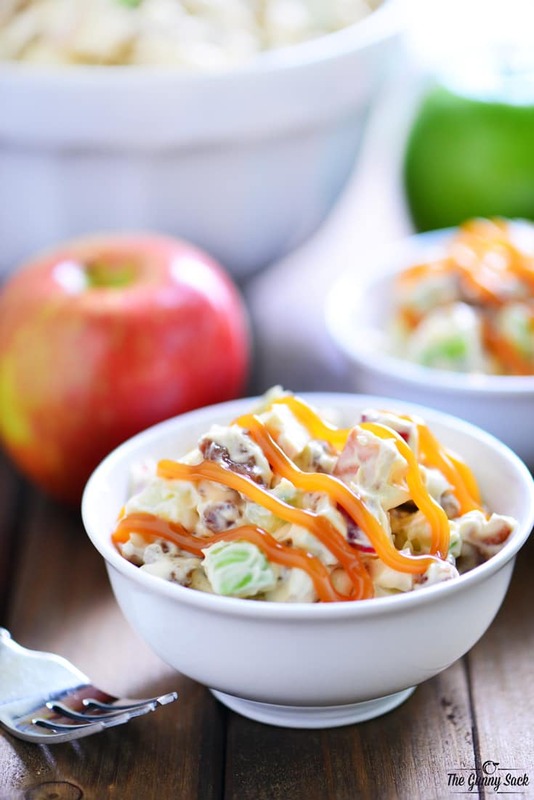 Remove from the refrigerator and top with apple pie filling. 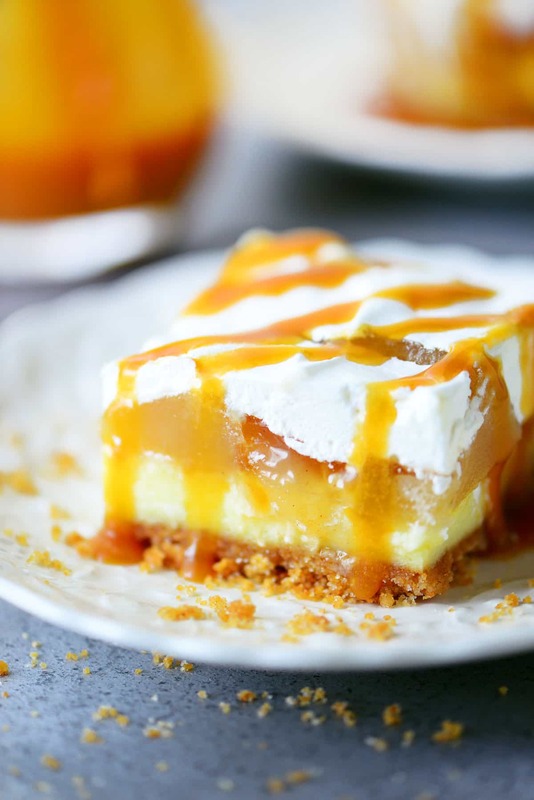 Spread cool whip or whipped cream over the apple pie filling and drizzle with additional caramel sauce. 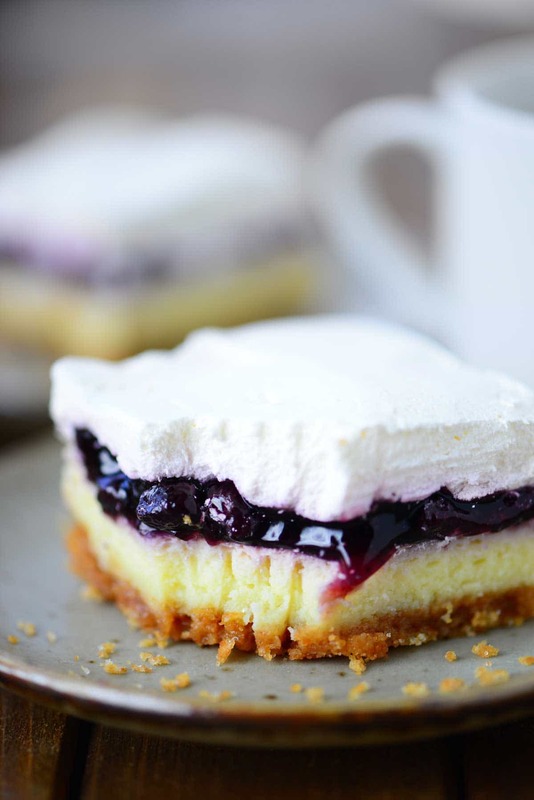 Looks yummy and very easy to make. Thank you! Two of my favorite desserts are cheesecake and apple pie!! What a great combination. For sure this is going on my fall baking list.